How Can You Finally Break Out of Negativity Patterns? Discovery is the only way towards total transformation of ‘the way it has always been thought of’. This wor kbook offers 12 very intense personal exercises for less (much less) than attending a workshop (and no scheduling nightmares). Honor your employees with this positive message. We all want to be happy with our workplace. No person wants to be negative but sometimes, we all get sucked in. This book is revolutionary – not your usual blame message that says it’s the way things are. It may be the way things are, but it isn’t necessarily the way things could be. 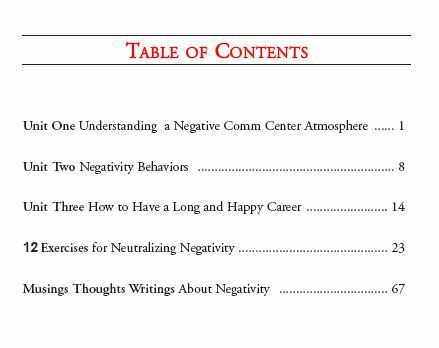 Sue is the pioneer in teaching that negativity isn’t the ‘nature of the animal’ and with a little switch in the brain and some NEW thoughts, negativity can be neutralized at your agency. 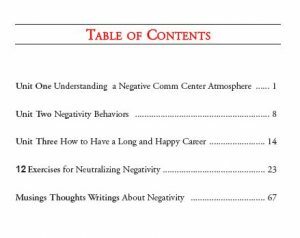 Don’t delay – negativity isn’t just annoying – it’s dangerous.